Photo courtesy Four Seasons Resort The Biltmore Santa Barbara. 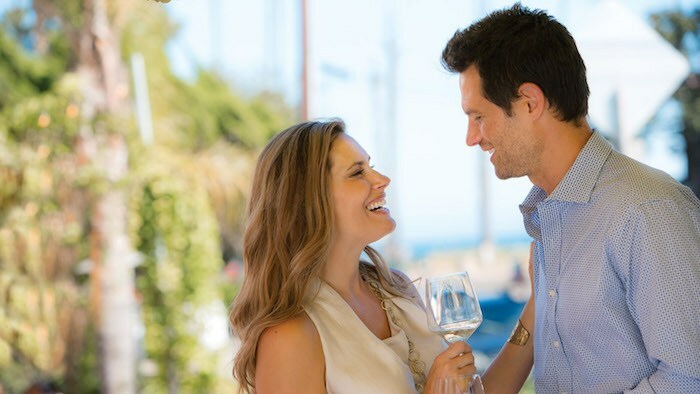 It’s always a treat to visit Four Seasons Resort The Biltmore Santa Barbara, and this summer’s tasting series offers some particularly fun ways to celebrate the season. Next up, on July 13, is RED, WHITE & BREW, which features a Tequila Bar, as well as ice cold beer from some of Santa Barbara’s award-winning local microbreweries including Topa Topa, Telegraph Brewing, Brass Bear Brewing, Rincon Brewery, Island Brewing Company and Boochcraft. In addition, guests can make a meal of it and pair their drinks with ceviche, barbecue suckling pig, Ensenada mussels and chorizo, lime coconut black beans and corn avocado salad from the Four Seasons Resort The Biltmore’s creative culinary team. RED, WHITE & BREW takes place from 6-9 p.m. and is $55 per person. Also on the Biltmore’s summer calendar is SUNSET SPRITZ, on August 24, featuring an Apertivo Bar offering Aperol Spritzes, Negroni’s and Italian red and white wines. The offerings also include housemade bites like fried cheese, olives, dalla forma pasta (prepared in Pecorino cheese wheel) and Cichetti Veneziani, aka traditional Venetian fare. SUNSET SPRITZ takes place from 6-9 p.m. and is $65 per person. The Four Seasons Resort The Biltmore is located at 1260 Chanel Dr., Montecito. To purchase tickets for either event, please call 805/565-8232. Originally published in Santa Barbara Seasons on June 29, 2018.